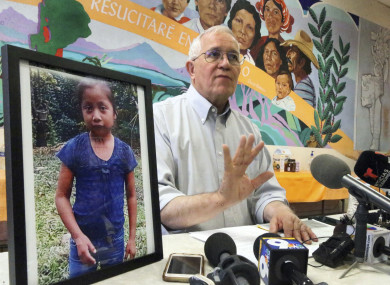 THE FAMILY OF a 7-year-old Guatemalan girl who died in US Border Patrol custody is disputing an account from US officials who said she had not been given food or water for days. Jakelin and her father were seeking asylum in the US and were among a large group of migrants arrested on 6 December near a remote border crossing in New Mexico. Border Patrol officials on Friday said agents did everything they could to save the girl but that she had not had food or water for days. They added that an initial screening showed no evidence of health problems and that her father had signed a form indicating she was in good health. Email “Family of girl (7) who died in Border Patrol custody dispute official story on her death”. Feedback on “Family of girl (7) who died in Border Patrol custody dispute official story on her death”.